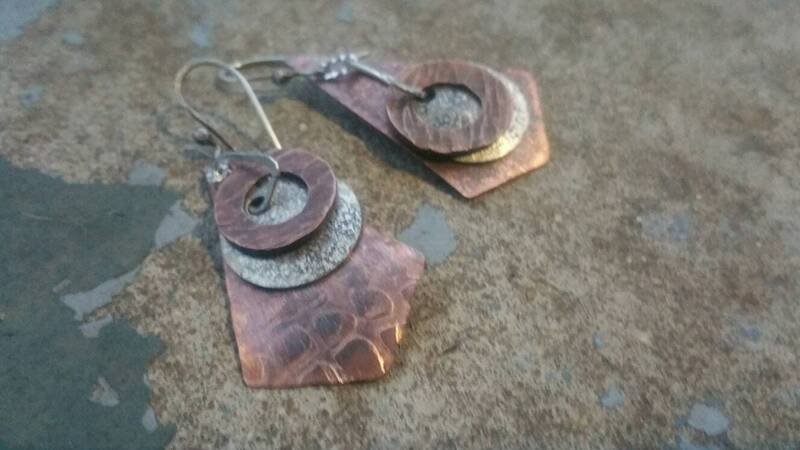 Created from sterling silver sheet and copper. Each piece was hand formed, textured and soldered. 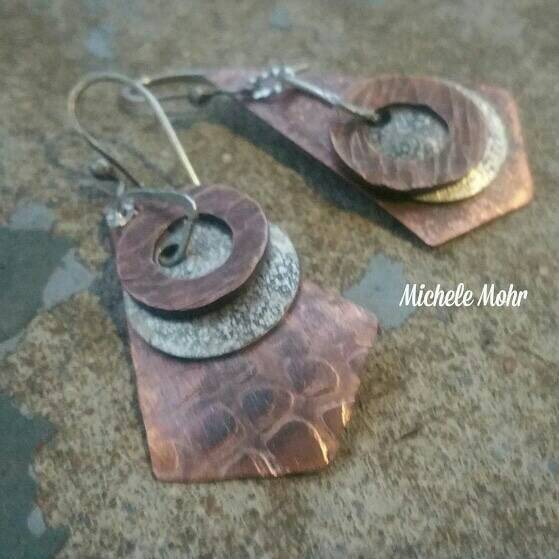 Filed smooth, oxidized and buffed to heighten the textured design. Hand crafted sterling silver ear wires. Approximately 2 1/8" in length.